As you can tell by the name Autumn Joy Sedum flowers in September till frost. You will have a bountiful clump of bright vibrant flowers late in the growing season. 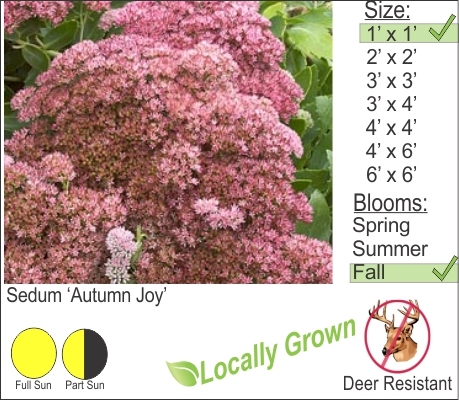 This deer resistant perennial is easy to maintain and is drought tolerant . Stone Crop is considered a succulent perennial and looks good in a garden that has featured rock outcroppings and boulders.